Low voltage lighting systems provide a beautiful, safe environment around your home. 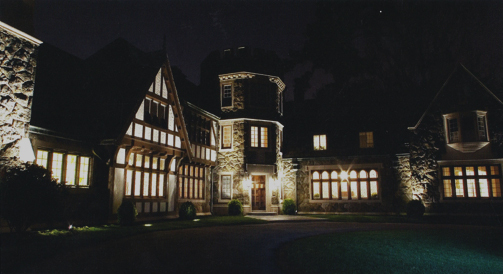 Lighting enhances the beauty of any home while providing extra security. The fixtures are weatherproof and run off of only a 12 volt power supply. Subtle and dramatic effects can be accomplished by the use of low and high wattage fixtures. Installations are non-invasive as the wiring installed at or slightly below the surface.